West Palm Beach cosmetic dentistry not only perfects your smile, it improves the health of your teeth. It makes your face more attractive. It can help with TMJ issues, and it definitely boosts your self-esteem! What’s more, West Palm Beach cosmetic dentistry is surprisingly quick and virtually pain-free. Why? Because of advanced dental technology and new oral sedation options. At Weinberg Dentistry, Dr. Brion Weinberg performs dental miracles everyday. Regardless of the number of teeth affected, Dr. Weinberg re-designs smiles and corrects problems by skillfully performing cosmetic dental treatments. Orthodontics can be the answer for misaligned teeth. Even if you have suffered with crooked teeth for years, a short time enduring clear braces will be well worth it. We have West Palm Beach area orthodontic clients of all ages. It’s never too late to straighten your teeth! If you have teeth that are decayed or otherwise damaged, there are several remedies. 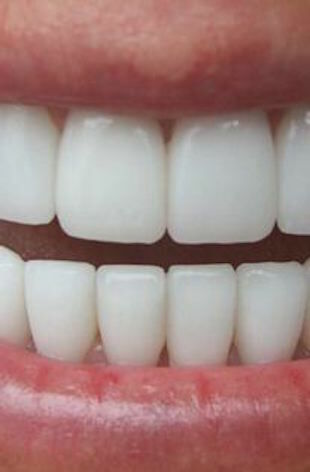 Porcelain crowns, inlays, onlays, dental bonding, veneers are some of the effective procedures. Some of the most popular procedures performed at Weinberg Dentistry are cosmetic dentistry, restorative dentistry and sedation dentistry. Perhaps all of this sounds too good to be true. If you are a skeptic, schedule a smile makeover consultation today and find out for yourself. Dr. Brion Weinberg will explain how your teeth can be transformed and you can see before and after photos. We are located at 14050 US Highway 1 in Juno Beach. Call (561) 420-0770 for an informative, no-pressure discussion with Dr. Brion Weinberg. Not Happy With Your West Palm Beach Dentist?